We got back from an awesome vacation in Kauai about a week ago! 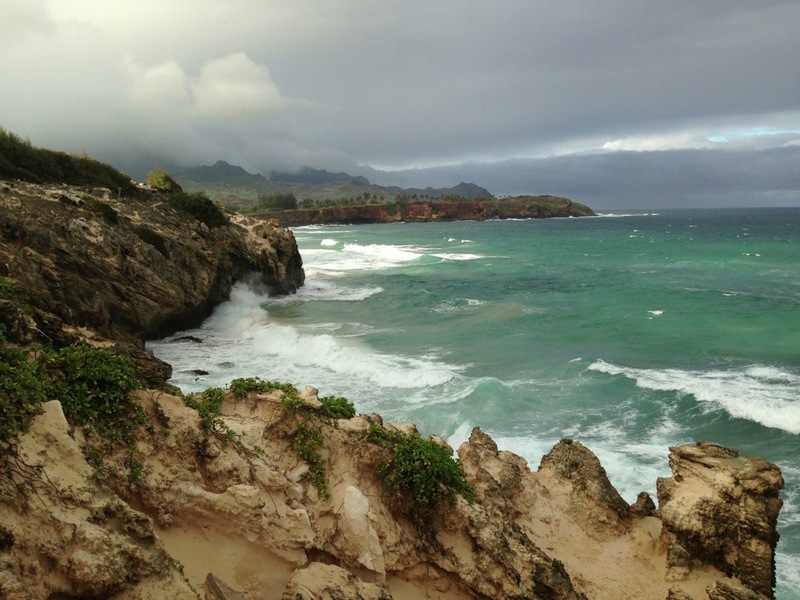 This was my third trip to Hawaii, but my first time on the island of Kauai. The past two visits were to Maui. 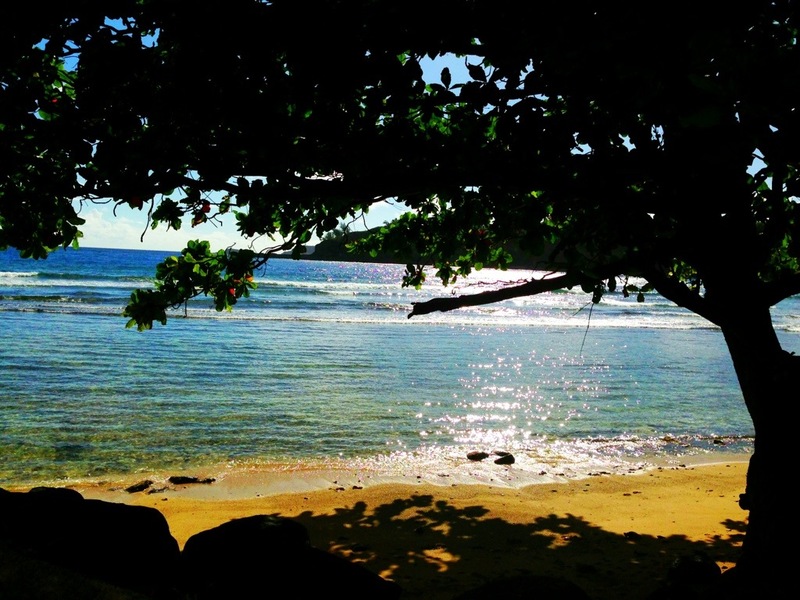 Maui is great for families – there are plenty of sandy beaches and activities to enjoy. 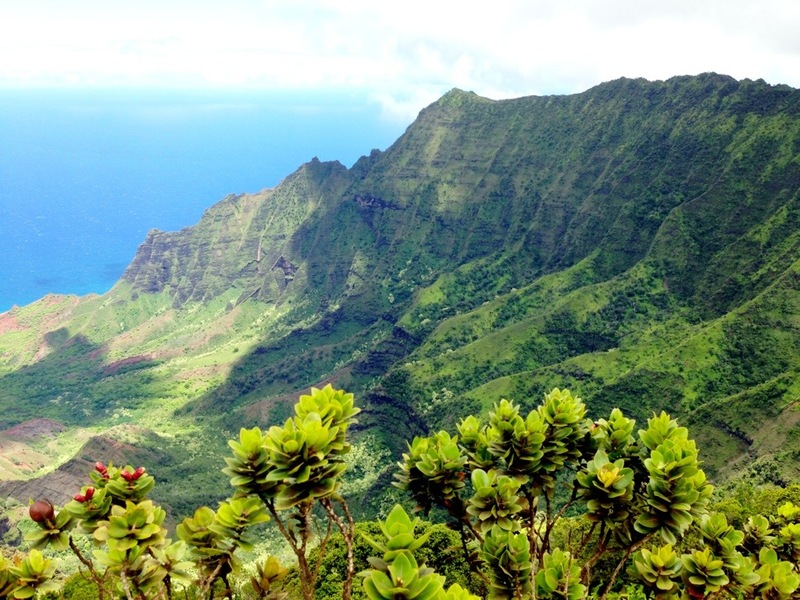 Kauai, on the other hand, is smaller and less commercialized. 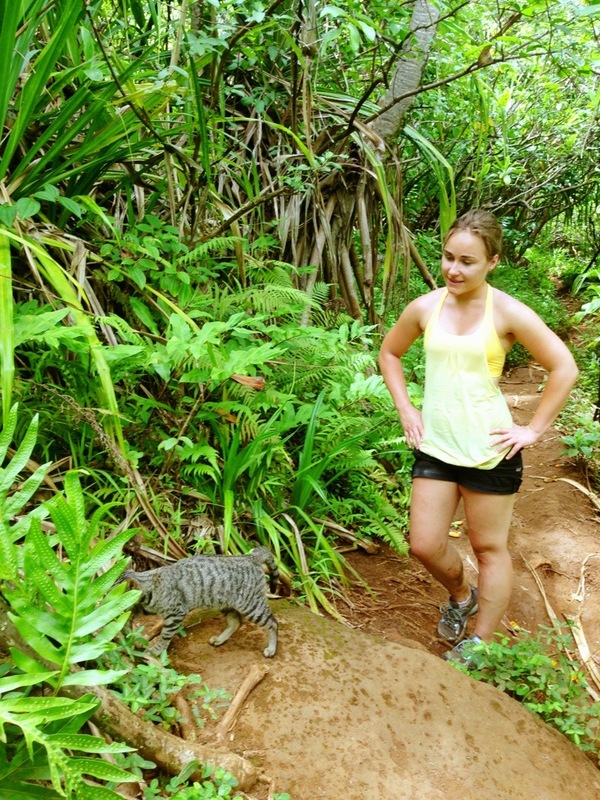 The landscape is unbelievably lush and hiking is amazing on Kauai. I’ve come up with 10 tips to make the most of your visit. 1. Rent a convertible to enjoy the scenery! 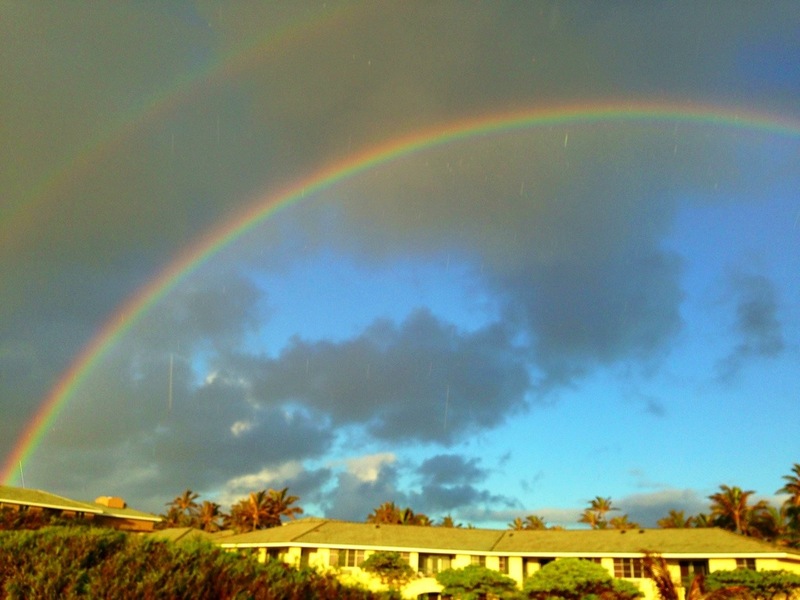 Be sure you know how to put the top up quickly in case of sudden showers… And back down for subsequent rainbows! 2. 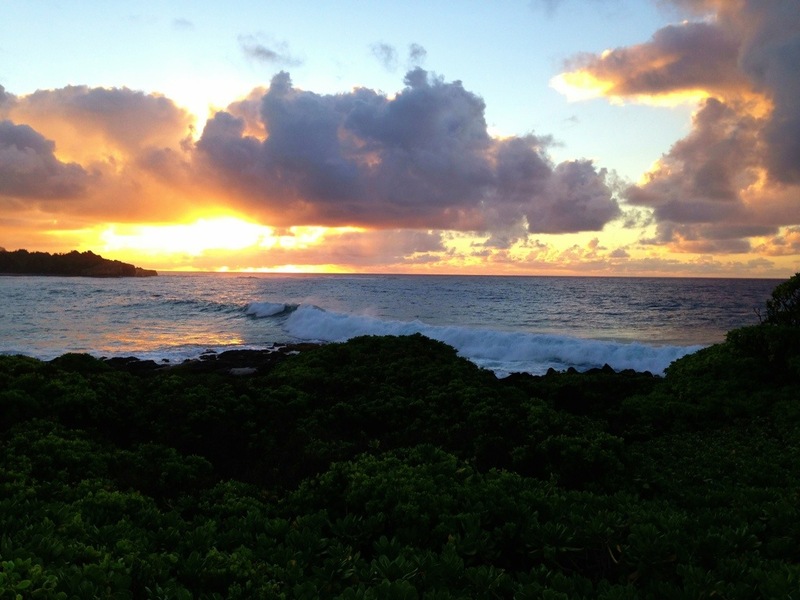 Stay in Poipu on the South shore, where the weather is sunnier than the North shore and sunrises are spectacular. 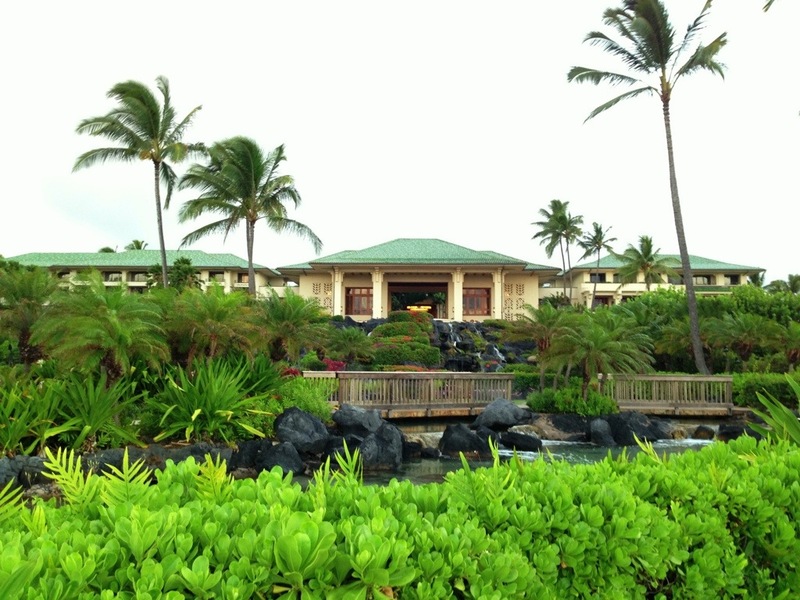 We loved our stay at the Grand Hyatt, but a condo would be a more budget friendly option next time. 3. Bring a blender. There’s a Costco and Walmart on the island and lots of roadside fruit stands for stocking up on smoothie ingredients. This will save money on dining out, since food on Kauai is expensive. 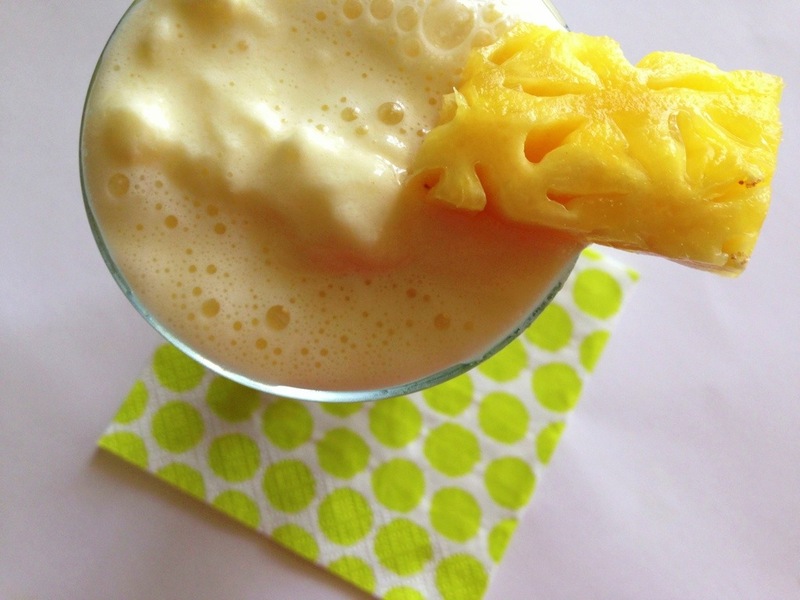 I made that pineapple smoothie in our hotel room! 4. Hike the Kalalau trail to Hanakapiai falls. 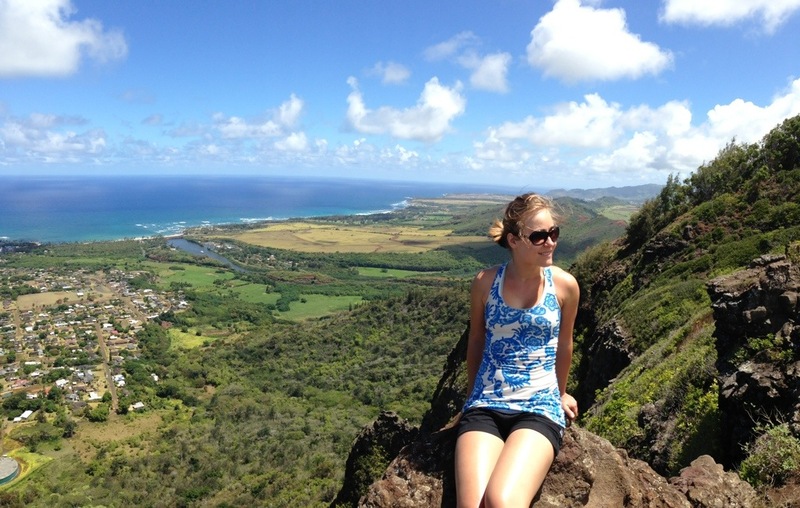 This was my favorite hike on the island! It starts out with 2 miles along cliffs overlooking the ocean and continues for 2 more miles inland through lush jungle. It’s like the garden of Eden. Take a dip under the 300 foot waterfall before hiking back out. We found a kitten in the jungle! 5. 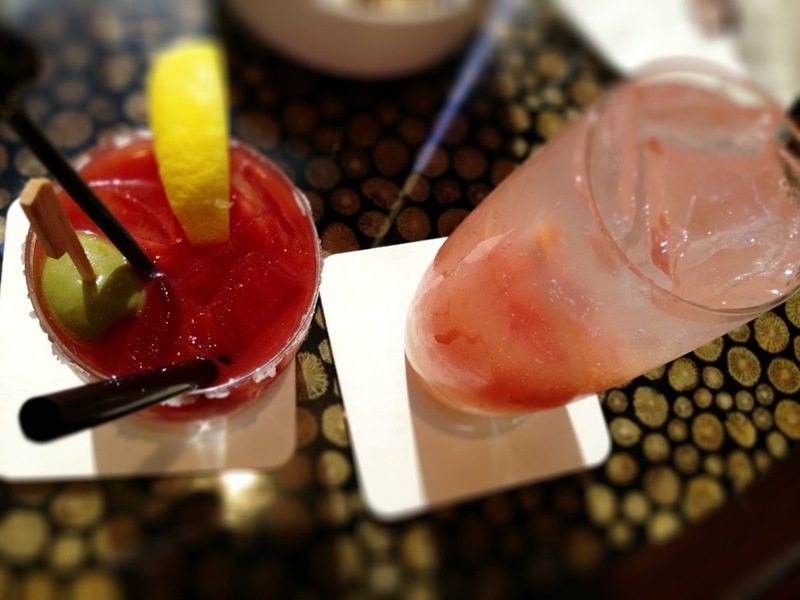 Have a drink at the St. Regis Princeville overlooking Hanalei Bay. This resort is very ritzy! You’ll feel fancy sipping on a cocktail here. 6. 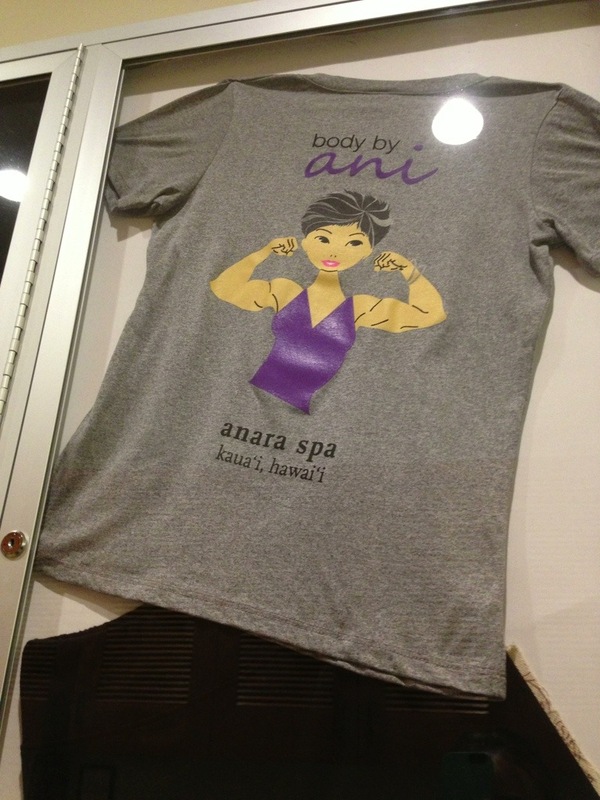 Take a sunrise beachside yoga class or a killer interval training class with Ani at the Anara Spa. Getting a workout early in the morning will help you fully relax and enjoy being on island time the rest of the day. This trainer is 67 and legendary! She’s even on a t-shirt. 7. 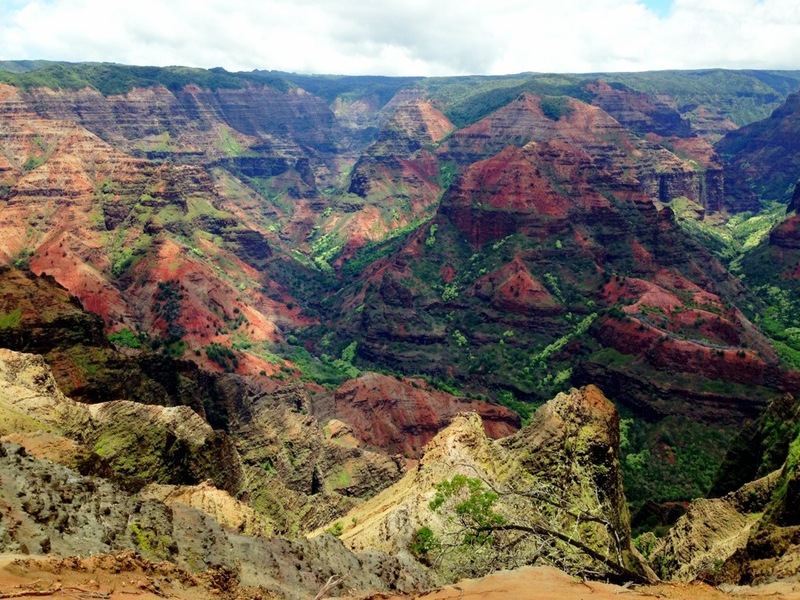 Hike near Waimea Canyon. Check out the lookout at the very end of the diet road! 8. 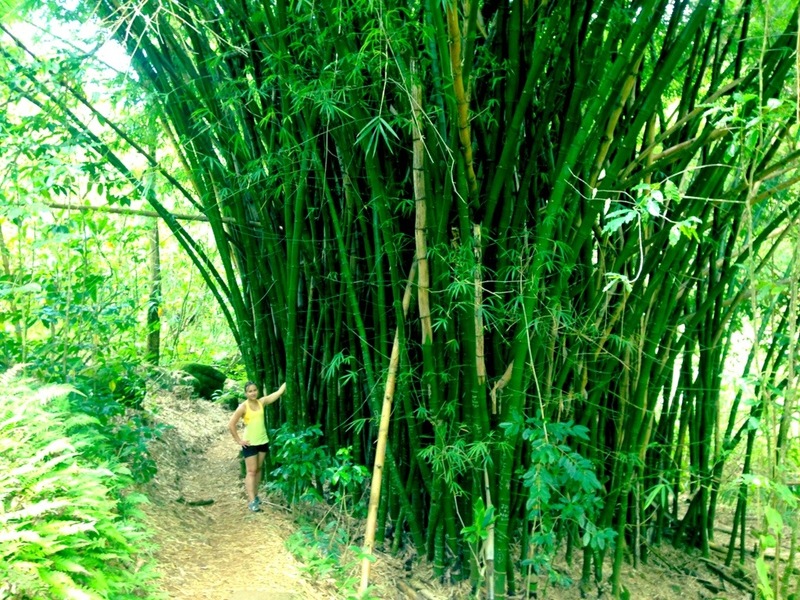 Hike the sleeping giant trail for amazing views of the coconut coast. 9. 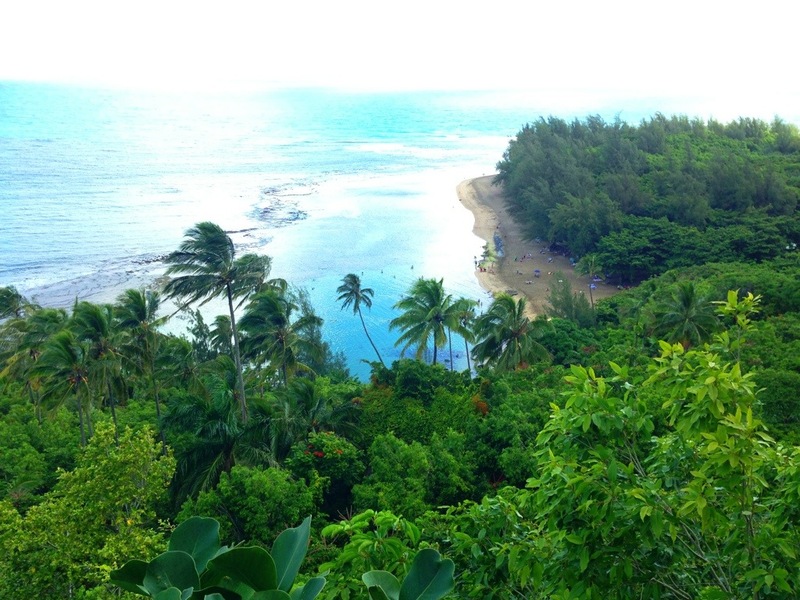 Take a cliffside nature walk at Mahaulepu and look for the sinkhole. 10. After all the hiking, relax on the beach or beside one of the Grand Hyatt’s swimming pools. The Hyatt’s pools are amazing! Pools are connected by a lazy river and 150 foot water slide. At the bottom of the series of pools, you can relax by the salt water lagoon. Even if you don’t stay at the Hyatt, be sure to check out their pool! 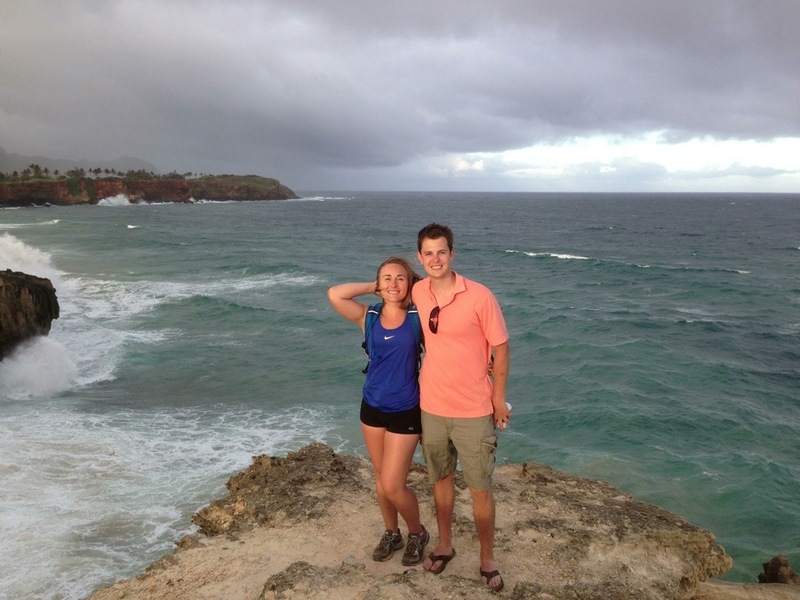 Colby and I loved the island of Kauai! We can’t wait to go back.